This project exists only because others who came before us paved the way for our work, and only because we continue to receive the support of a wonderful community of makers, teachers, students, friends and institutions. Chicago is home to many of these supporters; and while the city’s spirit of enablement is embodied in this project, the boundaries of our work and its community extend far beyond the city limits. Our commitment to share and enable others to join in our work affords us a truly global reach. We are deeply grateful to everyone who has contributed to this project in the form of knowledge, time, money, open-source development, enthusiasm, etc. Our goal is to continue working to provide free, open-source designs and knowledge, and to engage with as many people as possible in Chicago and beyond who want to learn, create, and participate in the DIYLILCNC community. The DIYLILCNC project is a free & open-source set of plans for an inexpensive, fully functional 3-axis CNC mill that can be built by an individual with basic shop skills and tool access. CNC devices are used to fabricate physical objects with a high degree of precision. Some CNC devices, including the DIYLILCNC, feature a gantry-mounted cutting tool (like a router) that can move in two or more directions. The operation of the tool is controlled by a computer, which is tasked with translating a digital design into actual tool movement. The DIYLILCNC can be built for around $700. This cost includes all the stock hardware and sheet material used in construction. CAD files for custom laser-cut parts are distributed along with the plans. Anyone with access to a laser cutter can use these files to fabricate all the panel parts necessary for construction; those without ready laser-cutter access can purchase laser-cut panel kits on our Buy page, or give the files to a local or online laser-cutting service. Plans and instructions for building the DIYLILCNC are distributed freely and intended for wide distribution and modification with few restrictions. The plans are formatted to facilitate easy fabrication, especially for beginners. 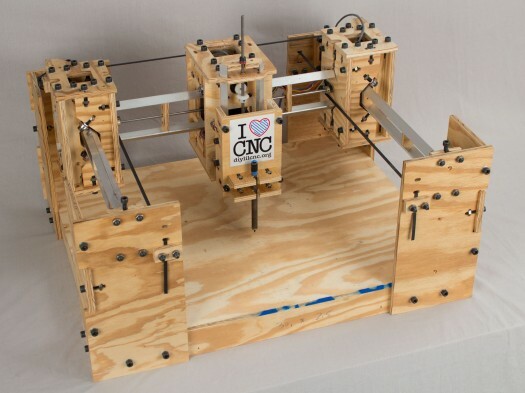 The DIYLILCNC can be built by an individual, a student group, or a class. 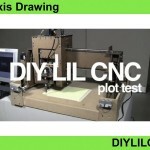 Besides being immensely fun, building the DIY LIL CNC is a great way to learn about motion control and CAD/CAM/CAE.See a brief overview of the DIYLILCNC project in the video to your left.